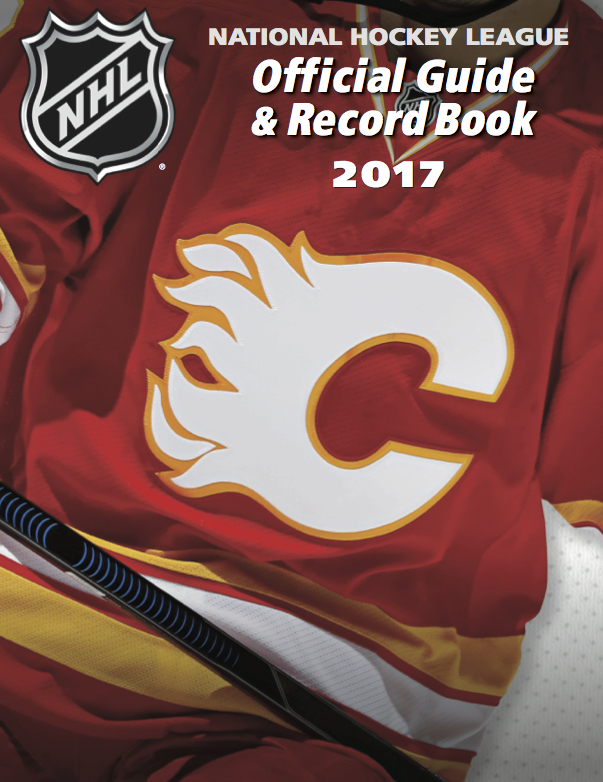 The National Hockey League Official Guide & Record Book will be shipped from the printer’s this week. That means it’ll be showing up in bookstores later this month. 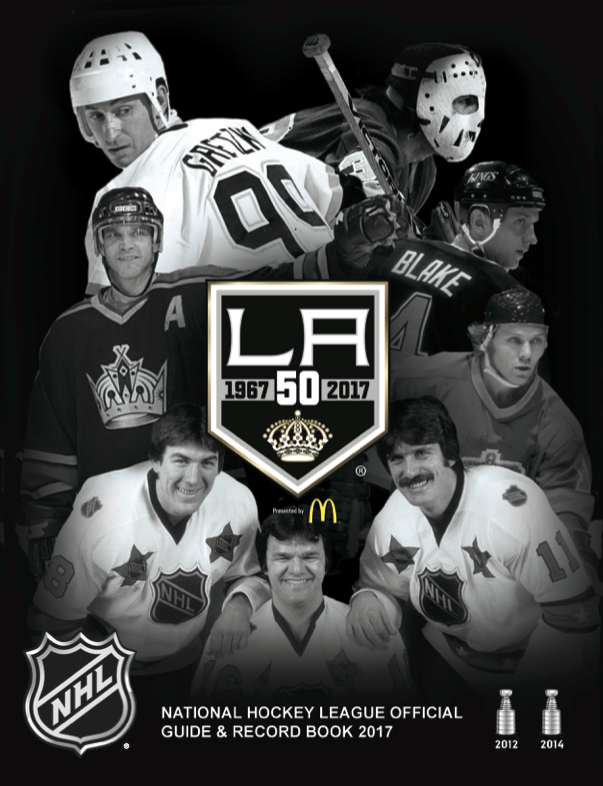 (If you’re a customer who prefers to purchase it directly from our office, it’s time to send in your email order or click this link to the dda.nhl eBay site.) 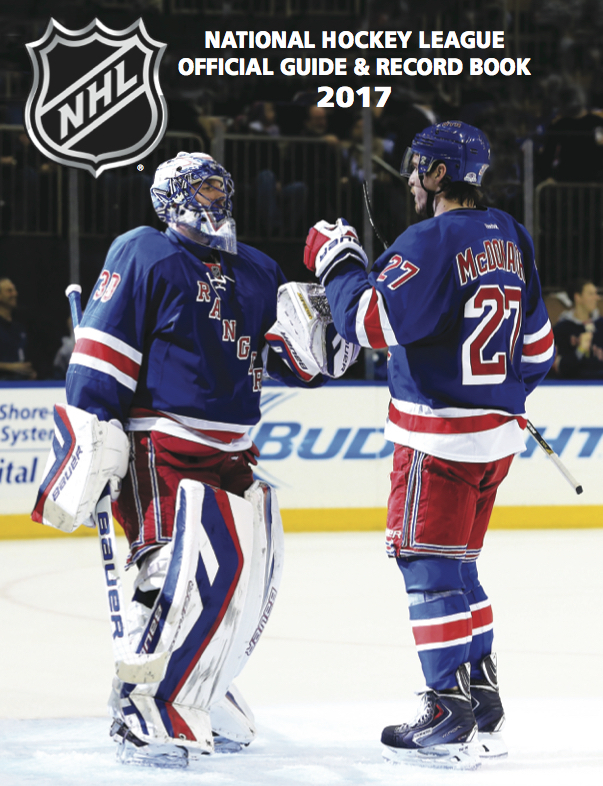 If you’re a media person who receives The Guide from the NHL, or from Dan Diamond & Associates, you should be getting your copy soon. As I said in my own story about The Guide last year, we can’t match the up-to-the-minute aspect of the many sports web sites out there these days, but you’ll be hard pressed to find any one site on the Internet that can give you all the information we provide as neatly and concisely as what’s contained in the NHL Official Guide & Record Book. And I dare say you’ll have an even harder time finding one that does so with such attention to detail! 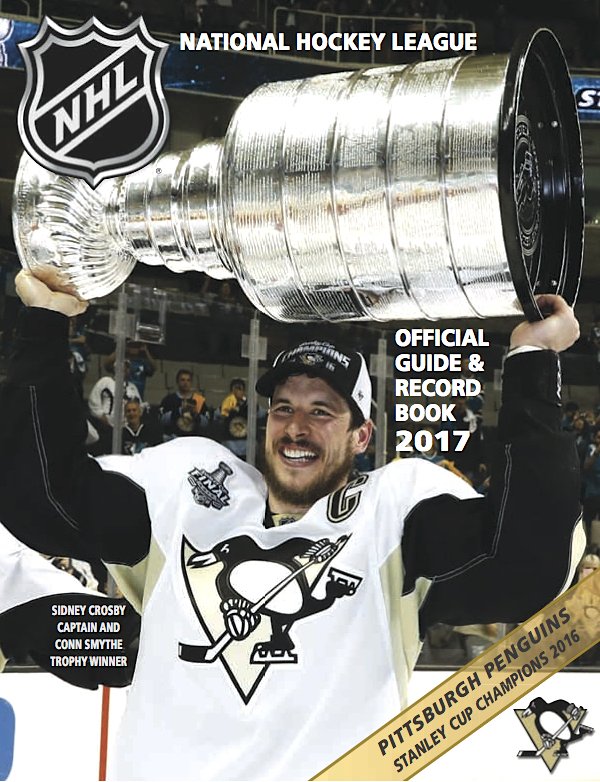 In my story last year, I provided a brief history of the NHL Guide and my role with it. I also wrote about how Connor McDavid’s father had helped me to make sure we had Connor’s minor hockey stats correct. Nothing quite as impressive as that this year, but as usual, there were some 40+ people I contacted to make sure we got the stats for some 150 or so new North American Draft choices as accurate as possible. Many of these people have helped out year after year. Others I encountered for the first time this summer. Among my favourite stories this year involves Adam Vay. Vay wasn’t drafted, but was signed as a free agent by the Minnesota Wild in May. He’s from Budapest, Hungary, and is currently the only Hungarian in The Guide. (The Edmonton Oilers drafted Tamas Groschl of Budapest – who was still playing in Europe last year, although he never made it to the NHL – back in 1999). Anyway, the Minnesota Wild did seem to have detailed numbers for Vay in their press release when they announced his signing – but nobody else did. I always like to be able to confirm such things and for whatever reason, a lot of the web sites that are great for minor and junior hockey stats aren’t very good for goalies. They seem to be set up mainly to track goals, assists, points, and penalty minutes, and often only show games and goals-against average for goalies. That was certainly the case with Vay, and the correct Pointstreak site that should have had the full numbers for the Western States Hockey League from past seasons was proving difficult to find. “How does a kid from Budapest find his way to El Paso?” I asked. “We have scouts all over Europe,” she said. 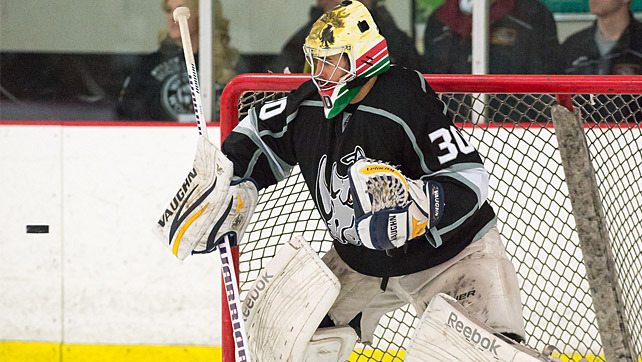 Adam Vay in action with the El Paso Rhinos. For more on his story, click here. Vay’s not likely to make the kind of impact in Minnesota this season that Connor McDavid has made in Edmonton. In fact, after spending last year back in Hungary, he may well find himself with the Wild’s American Hockey League farm club in Des Moines, Iowa, or even their ECHL team in Moline, Illinois. But I’ll certainly be watching to see if and when he makes it to the NHL! LMAO! It always slays me how people, but mostly and especially ‘Mericans, manage to muck up their own names. Most are proud of their heritage but some, such as this ‘LANG-LOYS’ ancestors, obviously didn’t hold much truck in such matters! If they didn’t like how their name sounded why not ‘change’ it….OFFICIALLY…to…ummmm, uhhhhh…oh ya… ‘LANGLOYS’ instead of numbly and obtusely insisting on mispronouncing it. BTW…I’m not quite sure what being from Tempe, Arizona (OR Canada for that matter) has to do with anything. Tell Jean Langlois, 6th generation ‘Merican of New Orleans, LA and the OTHER almost 9,000 folks named Langlois in The States that they are supposed to pronounce their last name ‘LANG-LOYS’ and he and most of them would laugh at you. PS…in actual fact (NOT a redundancy btw!) it is correctly pronounced ‘LAn-Gl-WAH’! How do you manage to get thru all the stats Eric? You totally amaze me my friend. It’s not like I do the job by myself! Dan Diamond, Ralph Dinger, and Paul Bontje are a very dedicated team. (And there’s certainly the support we receive from the NHL.) It’s a lot of work … but we mostly have a lot of fun doing it! I have the complete run go guides back to 1961-1962. I also have six runs from the 1950’s. The earliest I have is 1950-51. It says that it is the fourth annual N.H.L. Press and Radio Guide. I also have the 1942 National Hockey Guide which is edited by Jim Hendy. This guide has an ad for Sportservice, the Jacobs Brothers company. Anyhow, my question is, if the 1950-51 is the fourth, shouldn’t this year be the 70th year. I know there is probably an explanation. Anyhow, looking forward to receiving my copy this week. I’m sure it will be as great as ever. I can’t tell you anything about name changes and what was new about what happened circa 1947 … but Jim Hendy began producing his book for the NHL in 1932-33, and that’s where the timeline starts. Sherri-Ellen has it right: amazing! Eric, your research is second to none, and I have had the privilege of seeing it first hand.